In addition to Pan American, American First also appears to be an early line from Conn aimed at secondary markets. 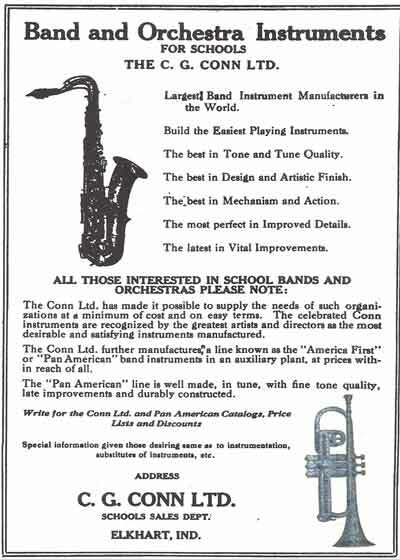 In the ad in School Music Jan 1922. 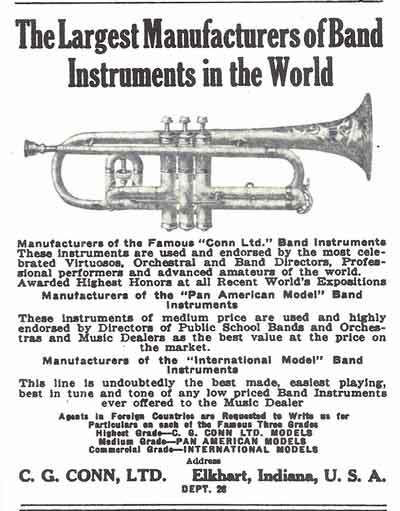 This 1922 ad in Pacific Ports April 1922 shows their marketing approach for selling Pan American and International brand instruments for stenciling and/or export. 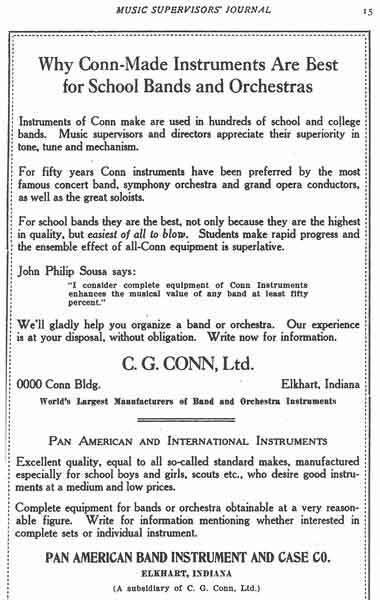 This ad from 1923 in Music Supervisors Journal Mar 1923, It shows that the campaign was to focus on institutions, schools, colleges, youth organizations rather than on individual customers. Click on back button to return.